Posted on January 31, 2015 by freehaifa Tagged Haifa PoliceHong Kong Democracy CampaignPolitical DetentionThe Economist	CommentsNo Comments on Why “The Economist” didn’t report my political detention? Why “The Economist” didn’t report my political detention? I don’t have many addictions. Reading “The Economist” for the past 40 years makes it my top. One page that I must read every week is “The world this week” – a short summary of events, with 40-60 words for each. A small paragraph in the January 24, 2015 edition caught my attention… It tells the story of some Hon Kong “pro-democracy” activists that were summoned to the police. Two of them were detained on their arrival, interrogated and later released. What made it significant for me was that during the very same week, exactly the same happened with me. I was summoned to the Haifa police; formally detained and put in chains; interrogated over my participation in a quiet vigil which was held more than half a year ago in solidarity with the Palestinian administrative detainees; held for some more hours and finally released. 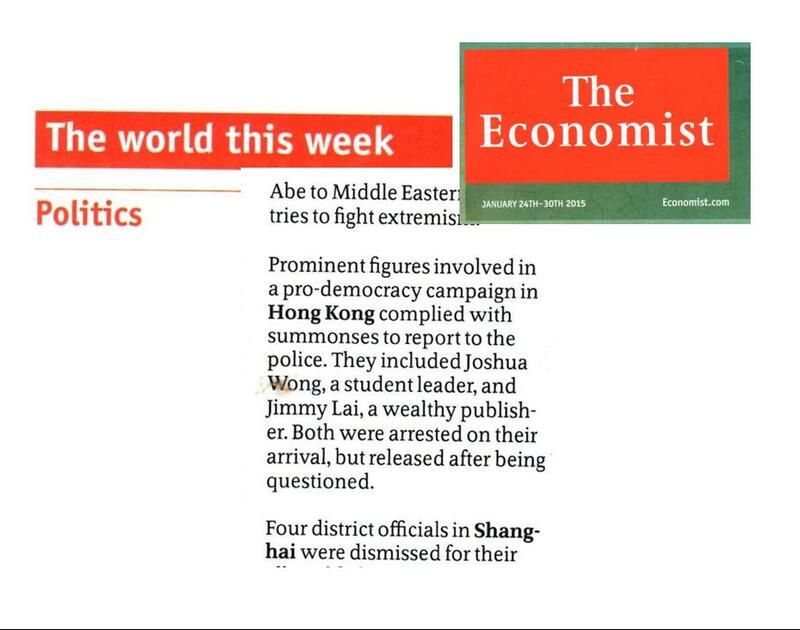 How did “The Economist” miss this important peace of news about the detention of a democracy campaigner in Haifa? Of course, there is no chance at all that “the Economist”, or any other major Western Media apparatus, will report political harassments by Israel as they report the plight of dissidents in China, Venezuela or Cuba. In fact, this is one good thing about reading “The Economist” – it is the organ of class struggle – just from the other side. As such, it adopts the role of “prisoners’ solidarity committee” for everyone that they consider to serve the interests of Big Capital. I probably should be proud not to deserve their solidarity. Hisballah killed two Israeli soldiers. Israel killed one UN peace-keeper. The BBC is strong on mathematics: 2 + 1 = 3. Now the picture is clear to the public that usually reads mostly the titles.